Save $15.00 by choosing this option now. 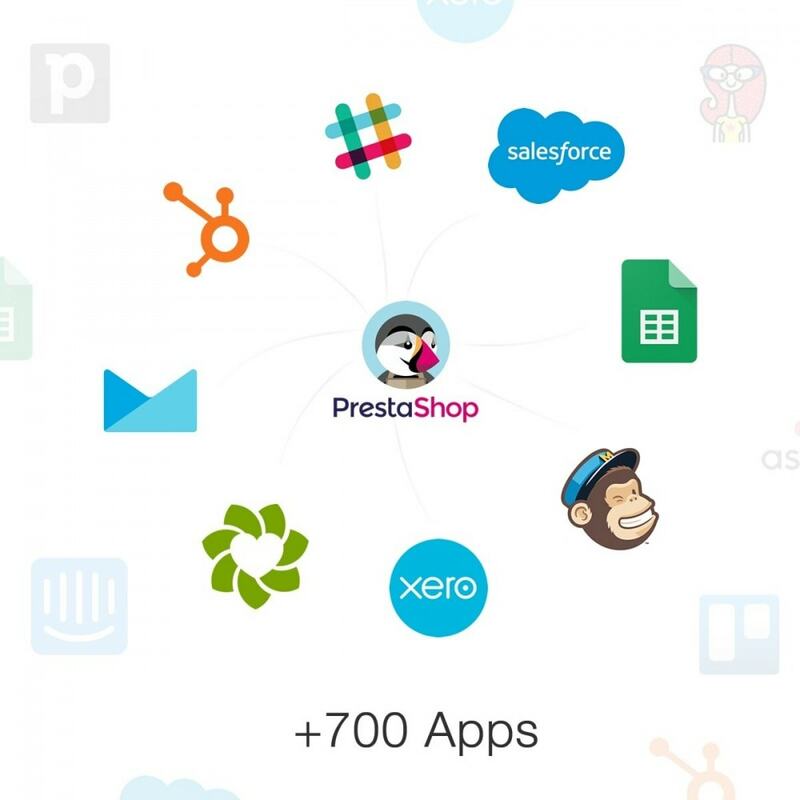 Save time and hassle by automatically sending PrestaShop orders, customer and products data to 700+ web services. 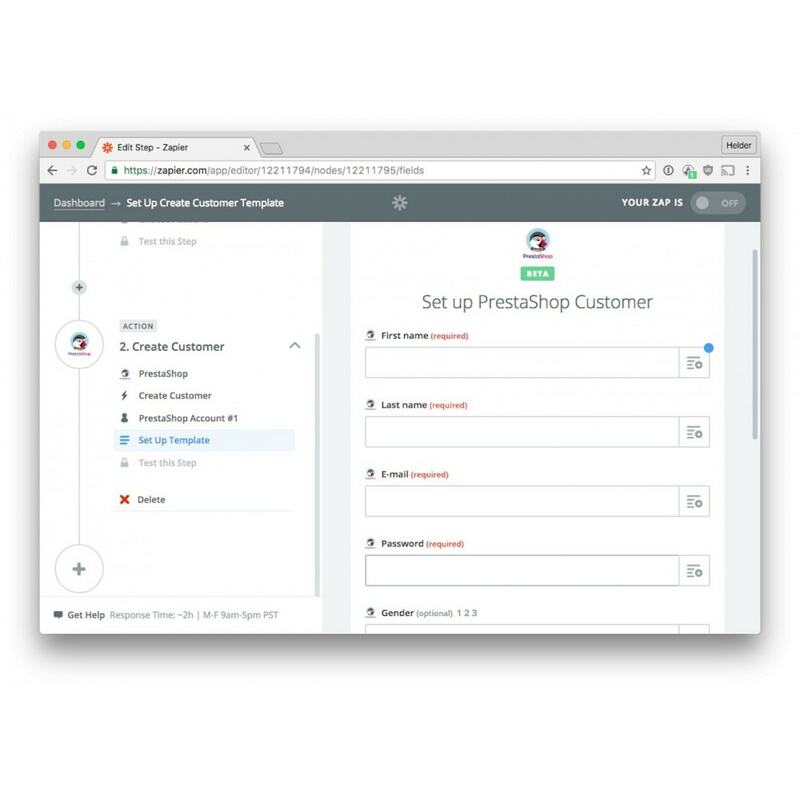 Save time by integrating your PrestaShop store with services you already use and love, including Google Drive, Dropbox, Zendesk, MailChimp, Campaign Monitor, FreshBooks & more! Speed up your processes by letting Zapier do the work for you, instantly: instead of making the same changes every time a new order comes in, a new customer makes a purchase or an order’s status changes, set up an automation once and let it run forever. Never forget a step: let one event in PrestaShop trigger multiple changes in multiple apps so you don’t miss a thing, ever. Efficiently notify the right members of your team and only the right ones: set up filtering on notifications so only the relevant people are alerted to changes. 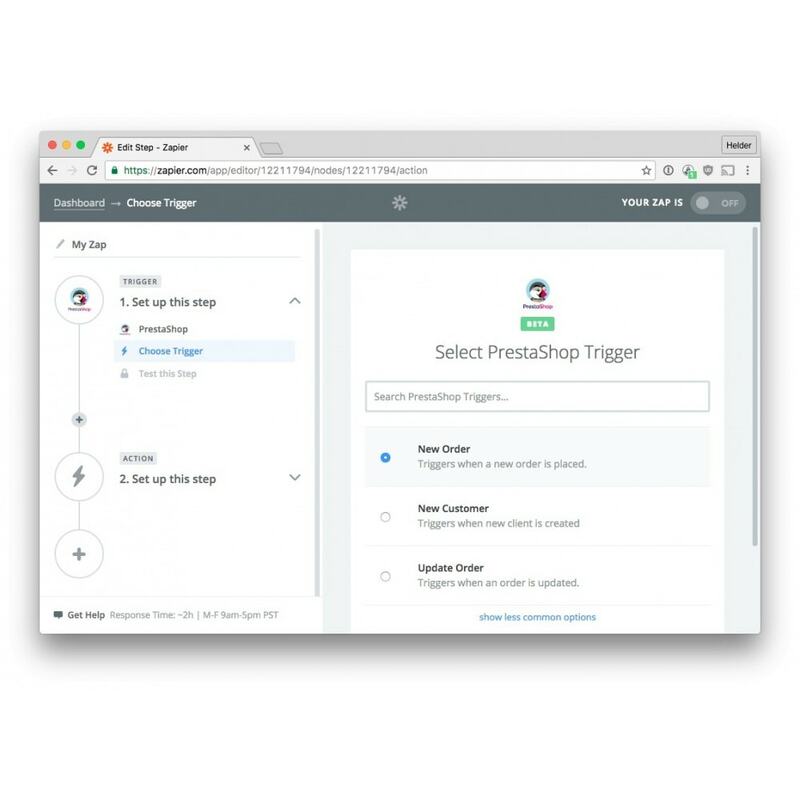 Uses changes in PrestaShop order, customer and products data as triggers for Zapier automations. Supports all PrestaShop currencies, languages, shipping methods and payment gateways. 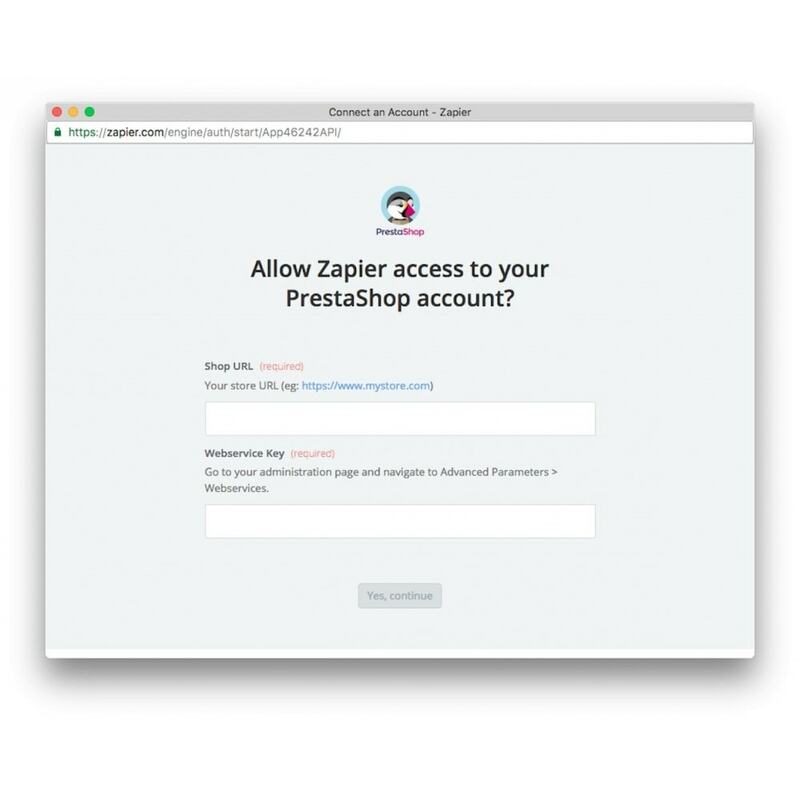 Secure: your PrestaShop data is always sent to Zapier over an encrypted connection. Adjustable: zap notifications can be filtered to specific users, groups or teams. Full support for simple products. Supports lookups of specific data in select integrations, with more on the way. Bi-directional: you can bring data in and out off your PrestaShop. Sell your products from your blog posts or external sites by adding Calls to Action and Buy Buttons. With just one click, your visitors can access their shopping cart directly from where your product is mentioned on a blog or on another external site. With the Buy Button module, you can boost your traffic and your conversion rate while sticking to your branding! Requires a Zapier account (free for the first 5 zaps). PrestaShop Webservice must be enable. Worked perfectly. It's missing a couple of features for stock updating (exports from PS perfectly, but importing back in was tricky). The developer is very quick with replies and very helpful though, and we're working on a solution to the problem. However for orders and product details it's absolutely spot on. Excellent integration and it's at early stages too! Connect your PrestaShop customers, sales and abandoned carts to ActiveCampaign in real time. With Deep Data Integration. Export your orders from PrestaShop to Sage 50c / ContaPlus / FacturaPlus.